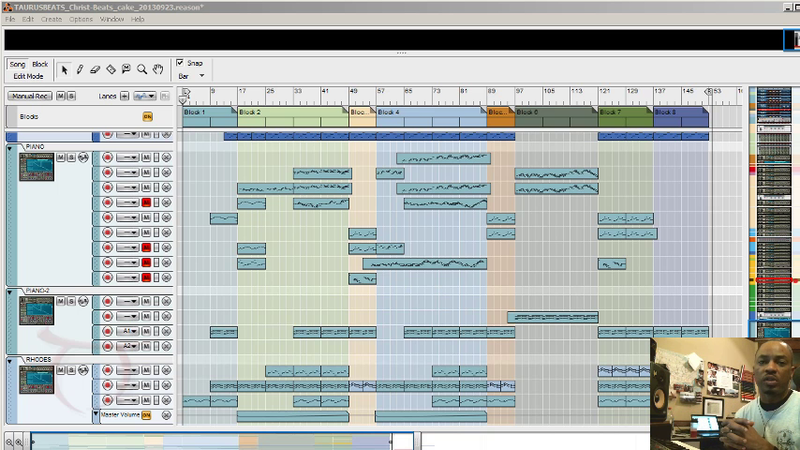 Get how to arrange beats in Propellerhead Reason watching TaurusBeats show you his process in Beat Tutorial video series. Yo whats up! I just checked out ur clip on the NNXT sampler and i really like your choice of arrangement. I wanted to ask if u could make a tutorial on how to structure a hip hop song? like for e.g. changing the beat after 4 bars or so...take care! Can you show me how to structure my beats? Can you teach me how to arrange beats in Propellerhead Reason? Will you show me how to arrange a trap beat? Do you teach beat structure theory? Can you make a video to show me how to make a full beat? Do you have any rap beat tutorials? Get answers to the above beat arrangement questions by watching my Pound Cake Remix Beat Arrangement video series (5 videos). I show you my beat making process and explain why and how I arrange beats the way I do. The video in this post is the first video from the series. Watch the series and get the Pound Cake Remix free download!